You must liberate the entire city in Homefront Revolution. Everything is happening quite fast in Homefront Revolution at first you are an oppressed citizen who got fed up and is now the leader of the Resistance. You and your members must liberate the city of Philadelphia from the Korean People’s Army zone by zone. The Hearts and Minds 101 video is the second of the gameplay video series. This video will give you a crash course on the different zones in the game. Each zone will give you different challenges. Each zone are overruned by the KPA’s. This video will give you a heads up on what to expect in each zone. Red Zone– The Red Zone is the zone where the Resistance has quite a lot of freedom. Here you are able to set up traps and ambush areas. You can also set up safe houses that you can use to restock your equipment and supplies. Since you are quite established in this zone, the KPA is closely monitoring it with snipers and airships. Yellow Zone– This is a densely populated zone where most of the citizens live and it is under lockdown by the KPA. Here you will be able to blend into the crowd. You must win the people over for them to stand up against their oppressors. Here you can secretly take down KPA infrastructures. Green Zone– This zone is where the KPA has full control. This will be the hardest zone to infiltrate, so it will depend upon you and your companions on how to get in and take down the KPA. Watch Homefront the Revolution’s Heart and Minds 101 gameplay trailer to learn more about the zones. 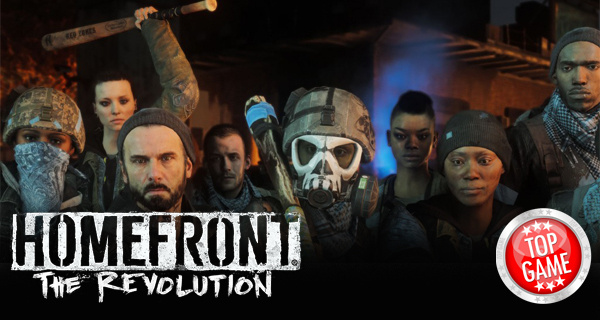 Homefront The Revolution is coming out on May 17th on PC (Steam), Playstation 4, and Xbox One.